If you’ve ever dreamed of having the opportunity to experience la dolce vita (but the rural version), Airbnb is offering four individuals the chance to spend three months living as a local in the Italian village of Grottole through its Italian Sabbatical program. 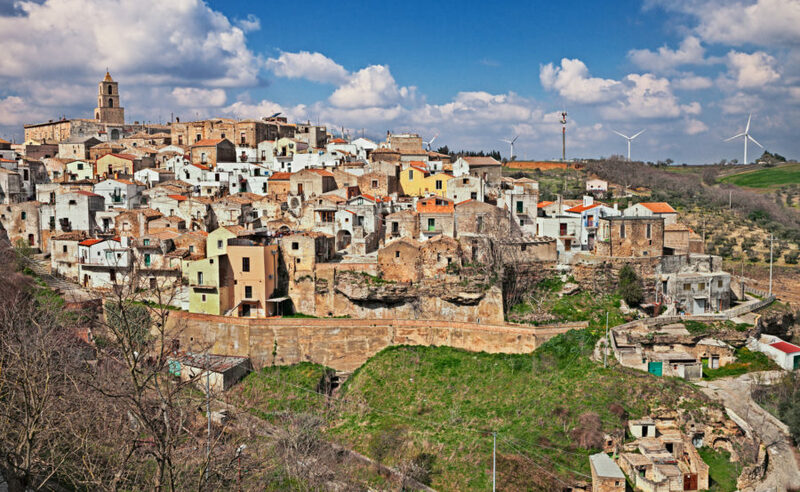 The winners will be invited to spend the summer exploring the Italian countryside in Grottole, which is located in the province of Matera, in the Basilicata region of southern Italy. During the all-expenses-paid sabbatical, the four participants will have the chance to explore the quaint area, which comes complete with 10th century castles, rolling valleys, olive groves, and caves where locals produce their own wine. Each participant will volunteer with Wonder Grottole, a nonprofit with a goal of revitalizing Grottole’s historic center. As part of the experience, volunteers will take part in Italian classes, learn how to run the local vegetable garden, and later use these ingredients to prepare authentic Italian meals. Volunteers will be able to start their mornings with cappuccino stops and sunrise views before embarking on Italian language lessons with local experts, and will spend a month in total receiving training in farming and cooking before passing their skills on to new visitors. Participants will also co-host stays at Wonder Grottole’s Community Center and Airbnb venues before returning to their provided accommodation—a rural home in Grottole’s center that’s still in close proximity to rolling valleys, chestnut groves, and fields where honey is produced. The sabbatical will cover each volunteer’s travel to and from Grottole in addition to up to 900 euros per month for additional expenses. Airbnb hopes the initiative will help restore Grottole’s historic center and its hundreds of empty homes. Those interested are invited to apply now through 11:59 p.m. Central European Time on February 17th, after which a panel of judges will select up to 30 finalists to take part in one or more rounds of video conference interviews. The finalists will be selected by March 29th and will be notified via email, after which four finalists will be selected to live in Grottole from June 1st through August 30th. Participants must be at least 18 years of age, have a valid passport, and be a resident of one of the following countries: the U.S., Mexico, Argentina (except for the province of Mendoza), Italy, U.K., Ireland, Germany, France, Spain, Portugal, the Netherlands, Australia, India, or Japan. To apply, head to the Italian Sabbatical website, where you’ll be prompted to answer a variety of questions regarding what you’d like to accomplish during your stay. Responses will be judged on creativity and originality, and those who have artistic merits that range from a love of crafts and music to cooking skills and photography expertise will have an upper hand.